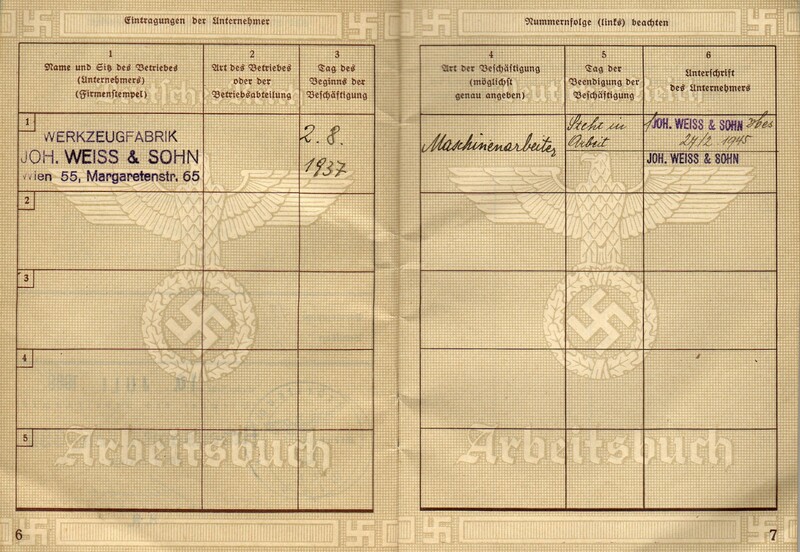 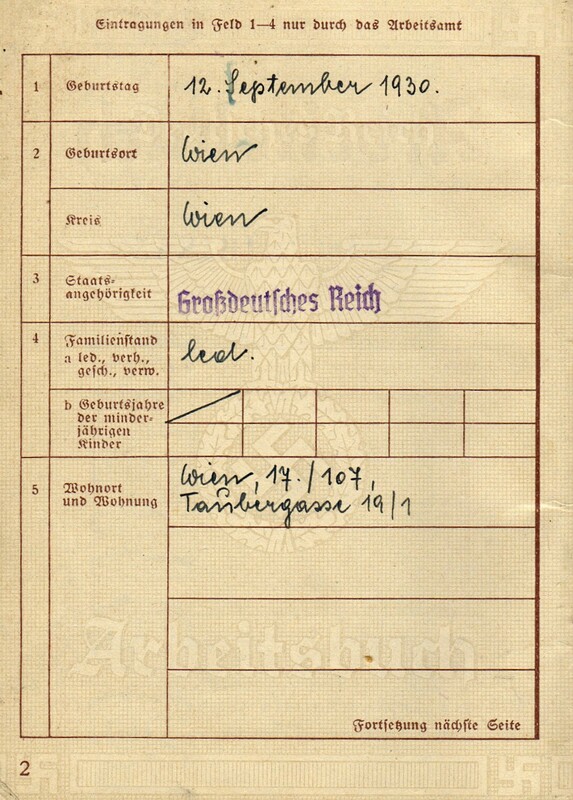 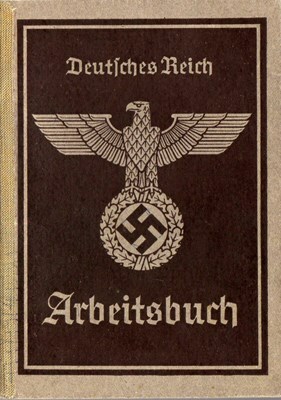 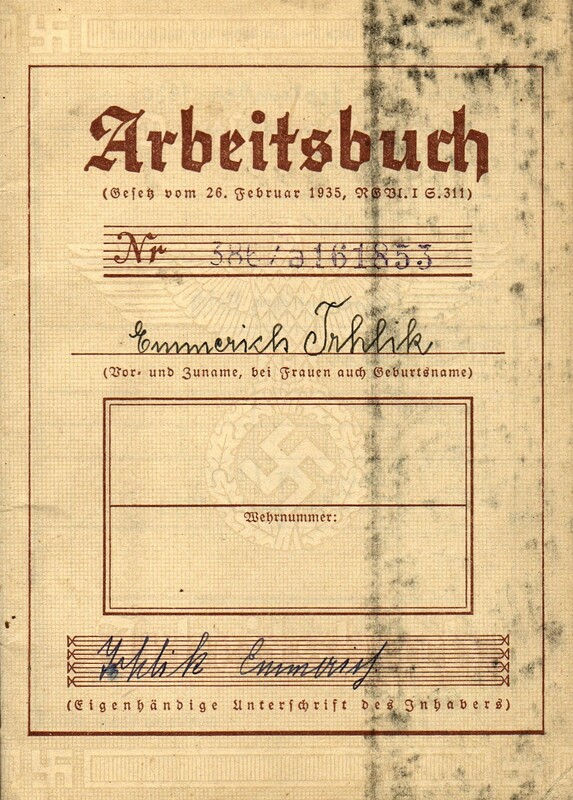 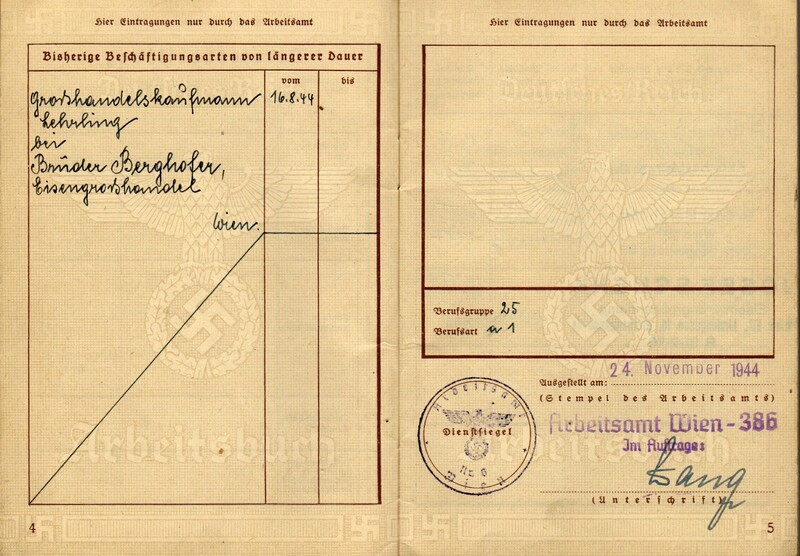 38-paged, Type II Arbeitsbuch issued on 24 November 1944 to a 14 year old in Vienna. 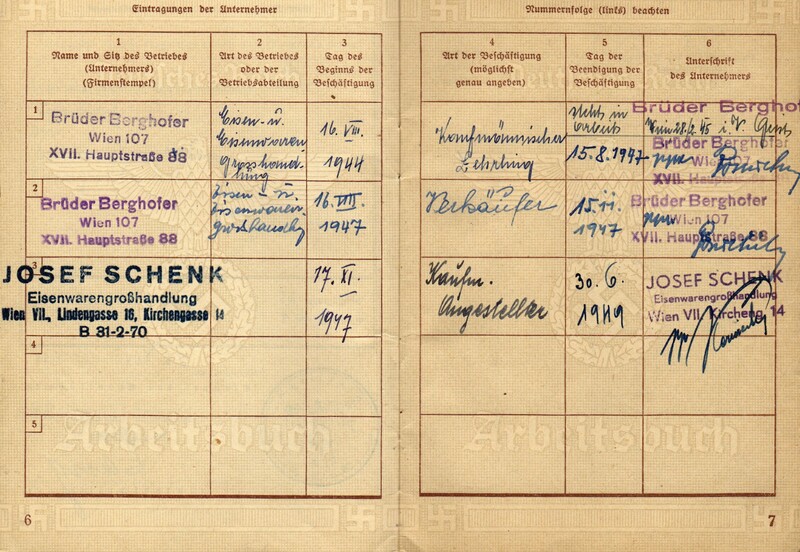 There are entries and stamps on 6 of the pages. 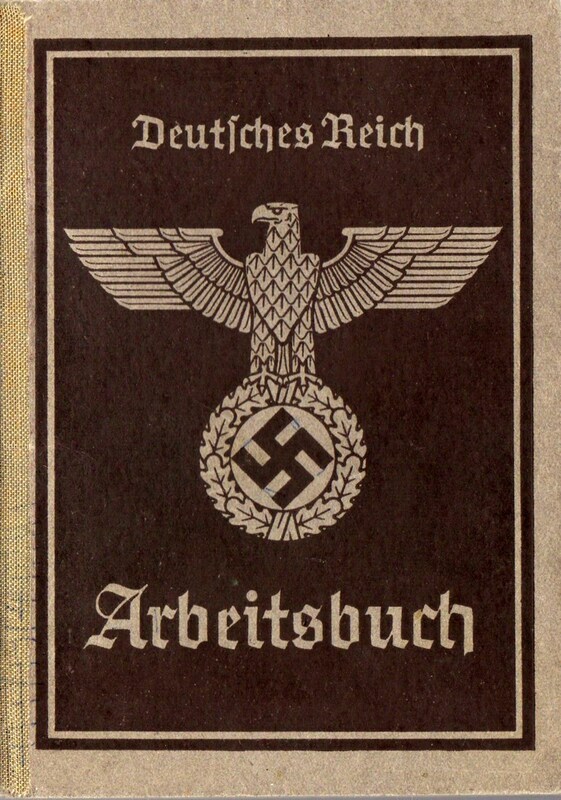 The cloth spine cover has come loose, but the book is intact.